Artists for World Peace established the Dr. Yoram Kaufmann Scholarship Fund in 2009 with the goal of spreading peace through artistic expression and education. The fund provides scholarships to students who are currently majoring in the arts and are in need of financial assistance. Named in memory of Dr. Yoram Kaufmann, a life long supporter of education, this scholarship will eventually support the education of children around the globe. All scholarships are awarded through a combination of recommendation and a review of the artists work. Scholarships are awarded on an ongoing basis. Artists for World Peace was presented with the results of a study conducted by Professor Rob Rosenthal’s Wesleyan University sociology students. The researchers found a significant economic divide in resources for students who are pursuing education in the arts. Students with greater economic resources have advantages, including the ability to pay for private lessons and purchase supplies. Artists for World Peace decided to help level the playing field by providing scholarships for such items as lessons and materials. 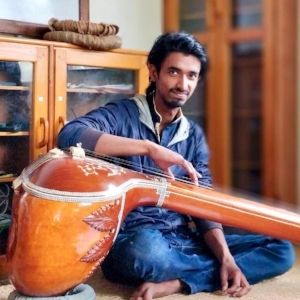 I joined to study the subject of my choice, i.e., Music in Kathmandu University Department of music in 2012. Though studying is a never ending process, I completed the 4 Years Bachelor of Music Degree today, and this is inspiring me to devote all my life in Music so as to help people in need and to educate the poor. On this historical event of my life, I would like to thank Artists for World Peace (Dr. Robert Nasta, Wendy Black Nasta & AFWP team), as well as Dr. Rise Kaufmann from the bottom core of my heart for their highly valuable Dr. Yoram Kaufmann Scholarship. It would have been impossible to complete the degree without your continuous support towards my education. In each and every phase of my life, I will support AFWP - spreading peace and education through music. Willow Wells, Fine Art, Middletown High School, Middletown, CT.